Want to double tool life turning Inconel 718? Tungaloy's New AH8015 grade designed for heat-resistant alloys features nano-multi-layered AlTiN coating with high Al content, the worlds first technology that provides incredible resistance to both wear and fracture, achieving exceptionally long tool life! 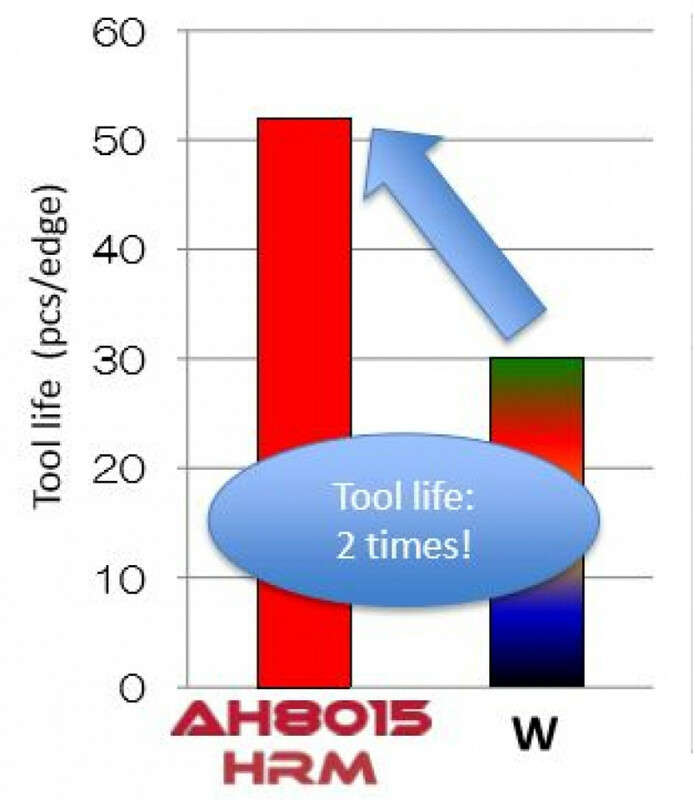 AH8015 also provides excellent surface finish even when the number of machined parts is twice that of the competitor! Both inserts where tested using the following cutting conditions.. Sample inserts are available on request CNMG120408-HRM AH8015, please email [email protected] with company details.